Home > Uncategorized	> How brightly-coloured should Carcosa be? I think a lot of good rpg settings like Carcosa (and, if I can be granted “good” for the sake of argument, my own Weird Adventures) or the implied setting of D&D are fundamentally incoherent if you put them under a microscope. 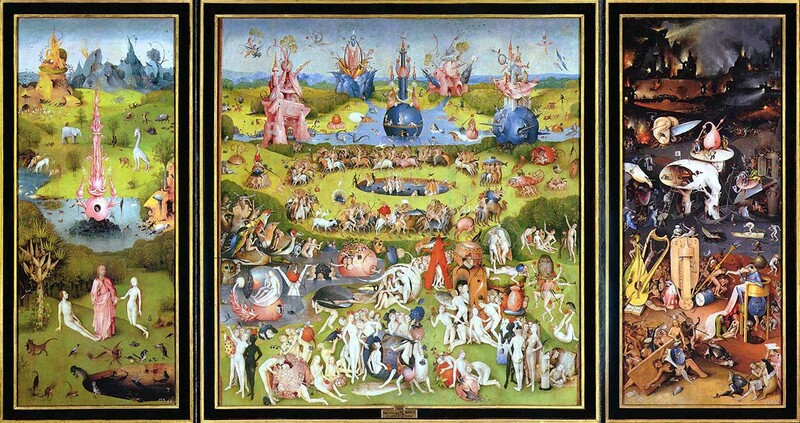 However, they have a lot of cool thematic dots that you can select the ones to connect to make a wide range of pictures. This is a strength that more coherent setting like Middle Earth or a realistic historic setting have to sacrifice. Mr. Trey, that is just an elegant way of phrasing it–connect your own dots to make your own picture. Perfect. I feel your pain. 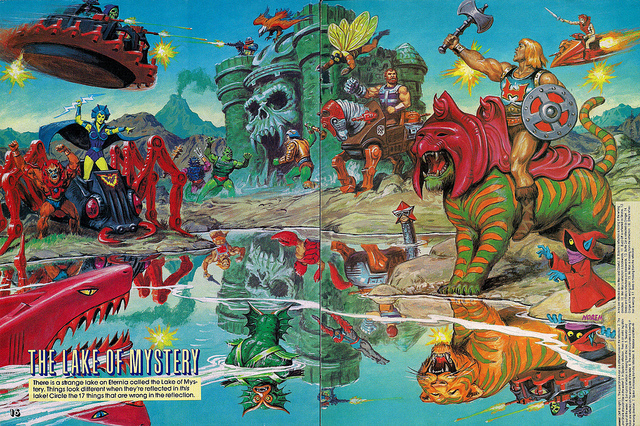 A MOTU game would be awesome. Trey, that is really well put. Thank you. And I’ve been really enjoying Weird Adventures. I’m on this big flying islands and cyclopean rocketships kick right now, but I’m planning a review soon when I’ve had a chance to give it some real thought. 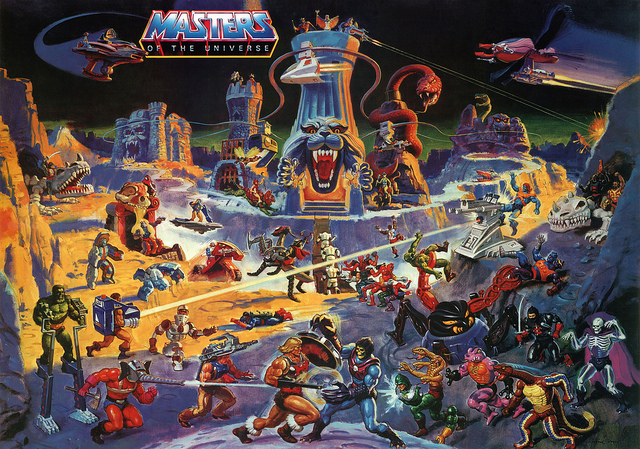 I love those Masters of the Universe paintings. Totally agree with you regarding not getting the gonzo and science fantasy elements of D&D much when I started playing. In the 90s I was, however, pretty into the steampunk, final fantasy, etc blend that was just then gathering steam (and is really just another version of science fantasy, I think). In the 2000s that led to settings like Eberron, which, while it doesn’t speak to me personally, I think will function for people that grew up on much like MotU etc functions for people of my generation (and perhaps yours?). Carcosa is so versatile because the themes and imagery are essentially a blend of Barsoom and Lovecraft. Thus, one can take it more toward the Barsoomian and make it slightly more lighthearted and heroic (though Barsoom is still a ruined and violent planet) or more towards the Lovecraftian, where it becomes even darker and more hopeless, the presence of ray-guns notwithstanding. I hope you’re not suggesting that the spectre of realistic feudalism has no place in D&D though, because I think that certain aspects of Greyhawk, if not the whole of Greyhawk, fits that description pretty well. Really, I think there is a spectrum here, ranging from pseudohistorical medievalism at one end, to Greyhawk, on to Blackmoor, and then terminating around Carcosa. Perhaps Eternia is past Carcosa? No need to be dogmatic about classifications in any case. …there’s a lot in there. I’m afraid I’m going to be talking about Carcosa for a while.